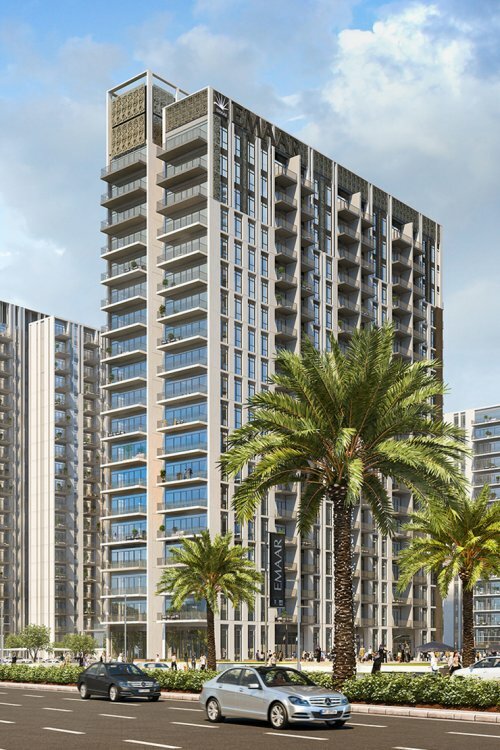 Park Heights 1 is an 18-storey residential building being developed by Emaar Properties and Meeras in Dubai Hills Estate. 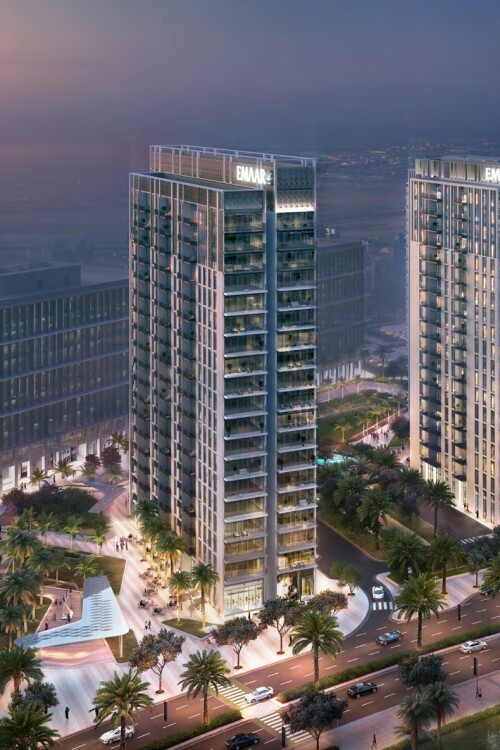 The development, located on Dubai Hills Boulevard directly adjacent to Park Heights 2, was launched in May 2017 and is expected to be handed over in March 2020. 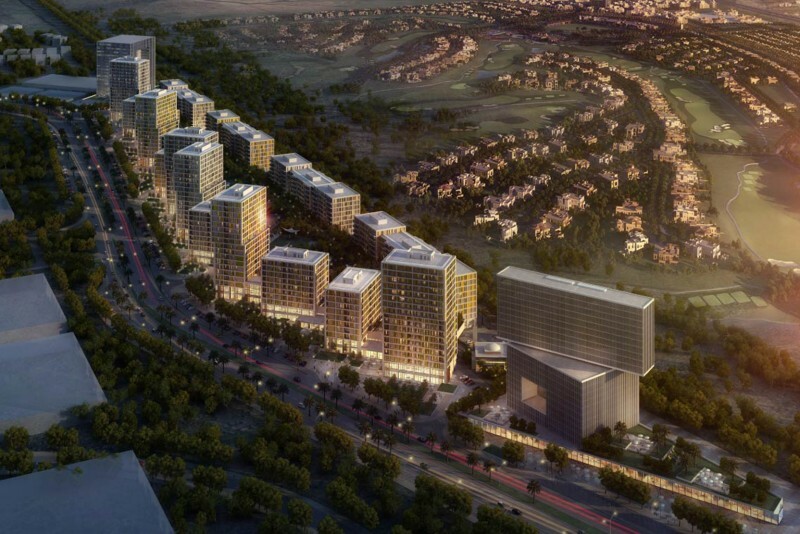 Park Heights is situated minutes away from the central park, Dubai Hills Estate Mall and the main boulevard, and overlooks landscaped parks. 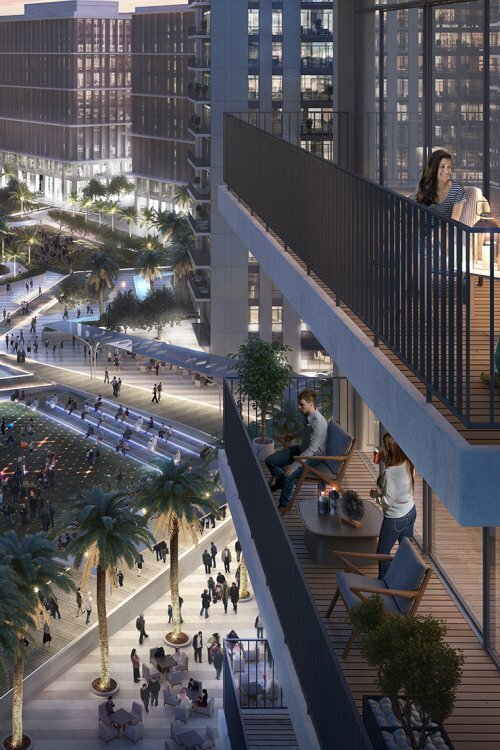 The building promises to offer ‘luxury yet affordable’ one- to three-bedroom apartments with panoramic views of the Downtown skyline and the gardens of Dubai Hills Estate Park. The one-bedroom apartments range in size from around 60m2 including a 6m2 balcony, to 82m2 including a 24m2 terrace. 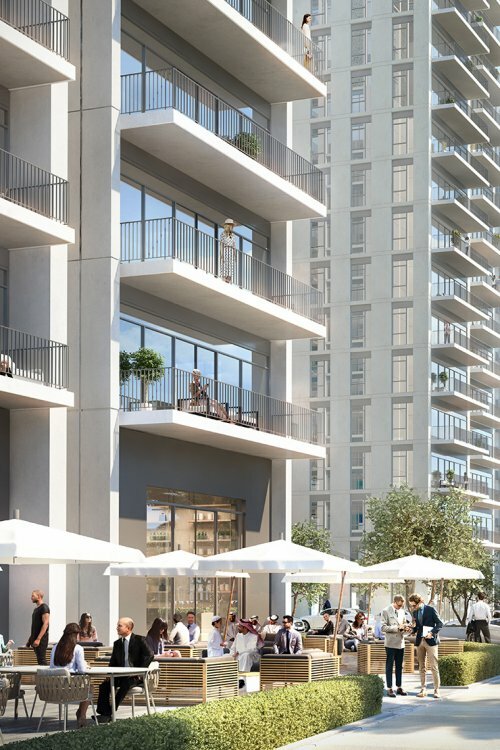 The two-bedroom apartments range in size from around 89m2 including a 6m2 balcony, to120m2 including a 37m2 balcony. The three-bedroom apartments are more or less the same size at around 149m2 including a 17m2 balcony. Park Heights claims to be the only residential apartment, townhouse and villa district with a mall within walking distance, metro access and world class school and medical facilities. Amenities will include an outdoor infinity edge pool, children’s pool and play area, indoor gymnasium, shops, cafes and restaurants. Driving times, as estimated by the developer, will be: to Burj Khalifa Estate, 10 minutes; to The Dubai Mall, 10 minutes; to Dubai Marina, 10 minutes; to Jumeirah Beach, 12 minutes; to The Tower at Dubai Creek Harbour, 15 minutes; to Al Maktoum Airport, 35 minutes; and to Dubai International Airport, 20 minutes. One-click links to properties currently on the market in Park Heights 1.